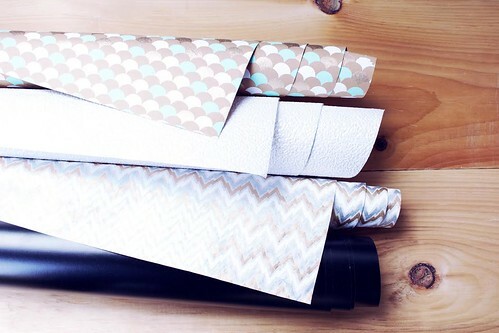 If you get a thrill from seeing a beautifully wrapped present, I think you'll enjoy this introduction to Corinna vanGerwen's gift wrap subscription box service, Gift Horse & Co. Recently I had the pleasure of receiving the inaugural Summer 2014 box and was impressed with its overall quality and attractive contents. 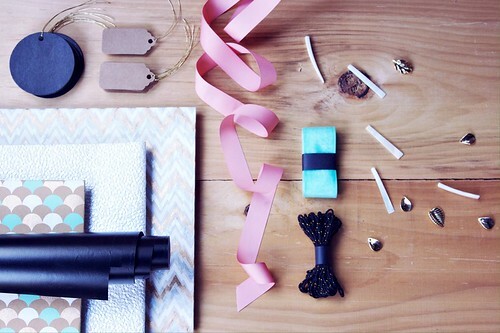 Aside from the convenience of having everything you'll need on hand to wrap at least a half dozen ahhh-worthy presents, you'll have fun choosing from a variety of tags, ribbons, and ornaments to enhance them. This particular box was inspired by art-deco Miami and contains luxurious gold, silver, and pastel silkscreened papers from India, along with a pair of stylish black sheets. I love the high quality grosgrain and organza ribbons, black and kraft-color gift tags with gold cording, unique black and gold-threaded baker's twine, golden leaf charms, and beachy shell bars, reminiscent of mother-of-pearl, not to mention the way everything easily coordinates. Corinna is a gift wrapping expert and this was clearly evident in the way the box arrived neatly and securely packaged. Inside the sturdy, reusable carton, crimped paper strands made it impossible for the contents to become wrinkled or damaged while in transit. Included was a card that describes the items and features gift wrapping tips. You'll also receive Corinna's newsletter with additional ideas via email. She carefully selects the mix-and-match inclusions that fill the boxes and will be mailing a new one out to subscribers every other month. You are invited to sign up by August 22 to receive the September box. While the service is not inexpensive - $37/box; shipping to Canada $12, to US $18 - so much thought and energy goes into shopping for the perfect gift, how nice it would be to package it in an equally lovely way. And come to think of it, you could even have a box sent to someone as a gift - it's that nice! Gift Horse & Co. is on Facebook, Instagram, and Twitter. Visit Corinna's website and blog, Corinna Wraps. 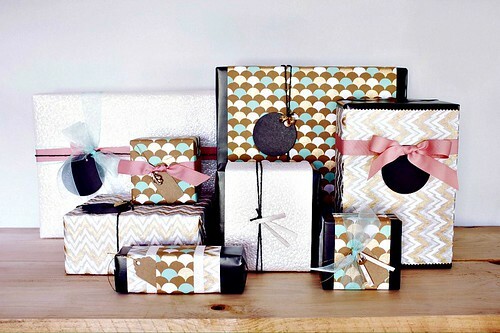 Beautiful gift wrapping really enhances the effect of the gift within. I love those black sheets and the tags with golden cords - they look breathtaking.